Our Medford, OR personal injury attorney at Dwyer Williams Cherkoss Attorneys, PC have worked for nearly eight decades to help our community face medical and financial adversity after their accidents. Our only goal is to deliver comfort and success by upholding our clients’ rights while pursuing the financial settlement they deserve. If you have been involved in an accident in Jackson County, Oregon, call us now to schedule a free consultation. We have recovered more than $30,000,000 in the last three years for our injured clients. Our Medford branch of personal injury Attorneys have the experience to win your case. 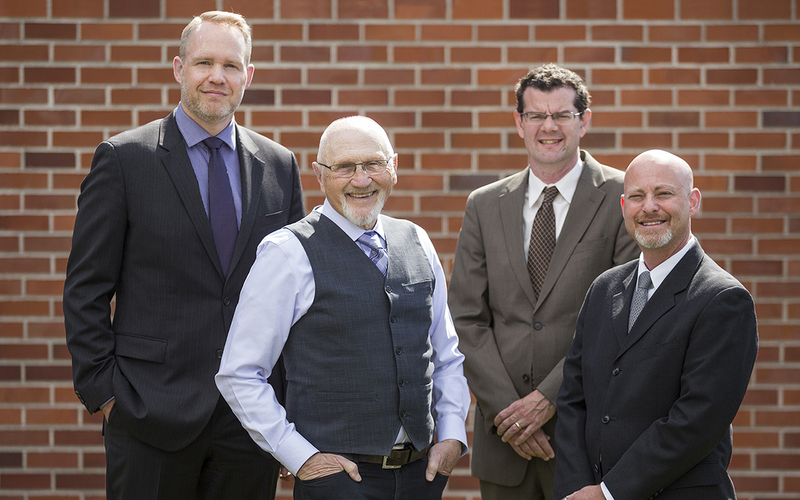 Dwyer Williams Cherkoss Attorneys, PC has over 75 years of combined experience in successfully representing personal injury victims in Medford, OR. When our Jackson County residents are involved in an accident due to someone else’s negligence, we will guide them through the legal process, pursuing the individual or party who caused their injuries, and will demand the best financial settlement available for their case. No two personal injury cases are alike, and our attorneys have recovered millions of dollars in damages for our clients to meet their unique needs after any type of accident. We can do the same for you. Most people wait until they are being treated unfairly by the offending party, or their insurance company before they reach out to our esteemed personal injury attorneys. Unfortunately, a lot may have transpired during the time you have talked to the insurance companies on your own, and they will do everything they can to manipulate your conversations for their benefit. If you are involved in an accident in Medford, OR – call us immediately. We will take the lead in communicating with all parties, so you can focus on healing. Gathering the necessary evidence and information to prove these points is a time-consuming and complex task. A personal injury attorney is familiar with the legal requirements to build such a claim. ▸ How Do I Know What My Case Is Worth? Law marketing sites have personal injury calculators to try to tempt you into contacting their attorneys first. But the truth is, settlement calculators are just a ploy. Every single case is different, and there is no way to input very specific information about a victim’s unique situation into a calculator. Factors like how the accident has affected the victim or the victim’s family are hard to quantify. It takes a lawyer with years of experience to effectively evaluate cases. The best way to determine what a personal injury case may be worth is to speak with our experienced personal injury attorney team. After an accident, many people will settle quickly with the insurance company rather than filing a claim, in order to avoid any expense that might be involved in working with a lawyer. In most cases however, working with our attorneys significantly increases the chance of a favorable outcome when compared to self-representation or even representation by an attorney with little experience. Many personal injury attorneys operate on a contingency fee basis. This means that the attorney does not get paid unless the victim wins their case or obtains a settlement. The attorney will often front the costs of the litigation or settlement negotiations, relieving the client of any financial risk or initial investment. Contingency fees are based on a percentage. Talk to our team today. We want to hear from you and we want the best for you. Our Eugene office is eager to go to work for your qualified case and fight for your right to recovery right now. ​When Do You Need to Hire an Accident Attorney in Medford? If you’ve been injured in any sort of accident in which another individual or entity is at fault you should speak with an experienced attorney. This can be especially important in cases that involve insurance claims. Whether it is your insurance company or the at fault party’s, they rarely have your best interest in mind. Here are the most common types of personal injury cases. Automobile accidents may not reveal the true extent of your injuries right away. The jarring experience can traumatize you for months, even years to come. If you have been involved in a car crash in Medford, OR, contact our experienced automobile accident lawyers today. We can help you get the medical care you need and pursue the negligent party who caused your injuries to the full extent of your expenses. Bicycle accidents are truly life-changing, as the force of colliding with a vehicle can cause extensive injuries and take away the joy you once had while riding. What’s more is that it is often difficult to prove the driver of the vehicle was at fault. At Dwyer Williams Cherkoss Attorneys, PC, our experienced and investigative approach will shed the necessary legal light on your injuries to ensure you are receiving the proper compensation after such a devastating accident. Infections. Scarring. Disfigurement. These are all possible results of a dog bite or dog attack in Medford, OR. From a legal standpoint, several troubling factors are in play after an animal hurts a human. First, is the community safe from the dog going forward? Second, medical care is an absolute necessity, and it can be costly. Extensive healing time, reconstructive surgery, and ongoing medical care can consume the lives of dog bite victims. If this has happened to you or a loved one, we want to help you hold the owner responsible for their negligence. The beauty of Oregon beckons motorcycle and ATV riders with promises of breathtaking landscapes, and exciting terrains. These same highlights also extend danger, as the riders are vulnerable without the protection passenger vehicles provide. When an accident does occur, the results can be devastating. If you or a loved one were in an ATV or motorcycle accident, let us help you pursue the financial recovery you are going to need to move forward with the quality of life you once enjoyed. The back, neck, and brain are so important to each person’s mobility, comfort, and happiness, that when an accident occurs and compromises these vital body parts, life can change forever. Intensive therapy, long-term medical care, and even paralysis not only alter life’s activities, but the financial fallout can be equally traumatic. If you were in an accident with a negligent driver, you should not be the one who has to pay for this costly care, and at Dwyer Williams Cherkoss Attorneys, PC, our personal injury attorneys in Medford, OR will work tirelessly to pursue the financial settlement or verdict you need. When you trust a nursing home to care for your elderly loved one and they breach that trust by hiring unlicensed or under-trained employees to provide that care, the negligence involved can ruin lives. The very idea of your loved one falling into the wrong hands is devastating, but when it becomes a reality, your – and their – rights must be upheld in the courtroom. There is no excuse for elder or nursing home abuse, and our attorneys will devote all our resources to ensuring the proper parties are held responsible. The winding Oregonian roads are great for sightseeing. Unfortunately, they are also traversed by larger vehicles, including semi-trucks and tractor trailers that are enormous, overbearing, and possibly being operated by a driver who hasn’t had enough sleep. The fact is, when a semi-truck accident occurs in the United States, 78% of the fatalities occur within the passenger vehicle they collide with. If you were injured in a truck accident in Medford, OR, or lost a loved one due to a truck driver’s negligence, let us help you pursue justice today. Slips, trips, and falls are incredibly common in the U.S. and are extremely dangerous in nature. The surprising aspect of these jarring accidents can cause severe injury, including muscle, bone, and tendon injuries that can take months to heal while impeding your ability to work. Mounting medical bills and lack of income can cause consistent stress, which will not help those injured in a slip, trip or fall heal. If you have been injured in any of these scenarios resulting from someone’s negligence, contact us right away to seek financial restitution from the offending party. Workers’ Compensation laws in Oregon can be complex, and if you do not know your rights, you may not be receiving the medical care, time away from work, or other benefits you are entitled to. Never pursue a workers’ compensation claim alone. Follow the rules set forth by your company’s reporting requirements, seek medical care, and call our Workers’ Compensation attorneys in Medford, OR right away. We will not allow anyone to take advantage of you or compromise your right to heal. Losing a loved one is incredibly tough, but when negligent circumstances rip your family member away from you suddenly, the effects are devastating. Although you may not consider the financial aspect of their loss right away, the grieving process will eventually lead to the unknown. How are you going to pay for a proper burial? How are you going to pay the bills your loved one took care of? What happens to his or her pension and insurance benefits? Our wrongful death attorneys can help you answer these questions and more, focusing on the individual or party who negligently caused your loss for financial recovery. Our Medford, OR personal injury attorneys at Dwyer Williams Cherkoss Attorneys, PC have worked for nearly eight decades to help our community face medical and financial adversity after their accidents. Our only goal is to deliver comfort and success by upholding our clients’ rights while pursuing the financial settlement they deserve. If you have been involved in an accident in Jackson County, Oregon, call us now to schedule a free consultation.